Listowel man claims $50 thousand prize in OLG game. Photo supplied by OLG. 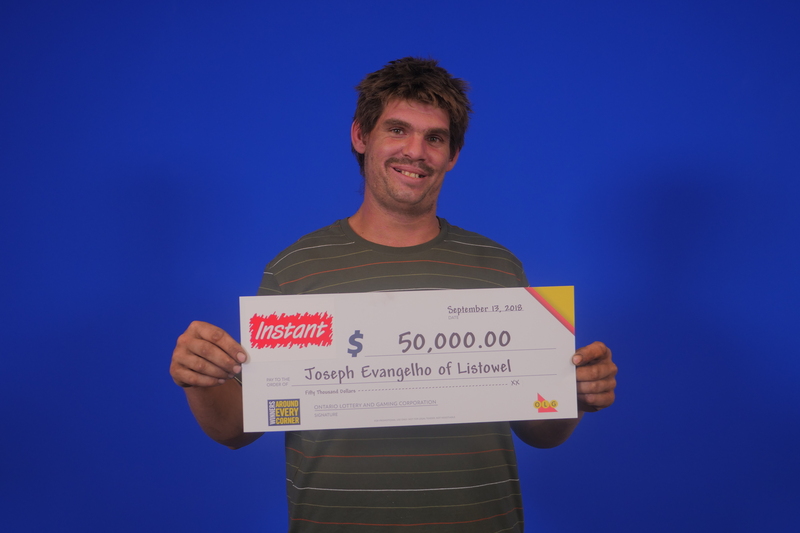 A 32-year-old Listowel man is $50 thousand richer after winning an OLG game. 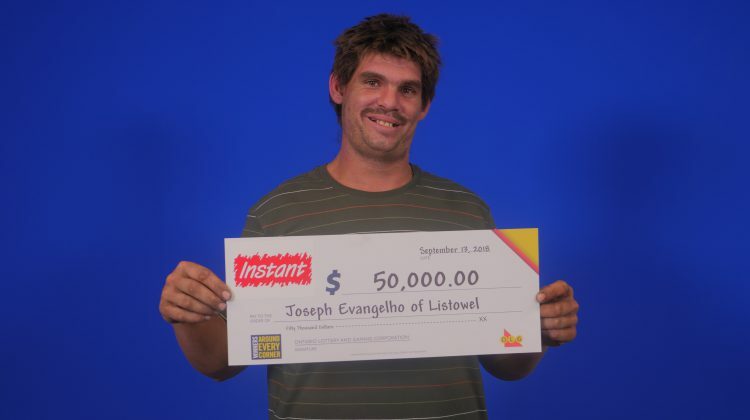 A release from the Ontario Lottery and Gaming Corporation says Joseph Evangelho claimed the money after winning a prize with Instant Ontario Lottery Gold. He says he looked at the ticket three times and still couldn’t believe he won and he says he plans to invest in property. The father of one son purchased the ticket at Jay’s Variety on Main Street in Palmerston. 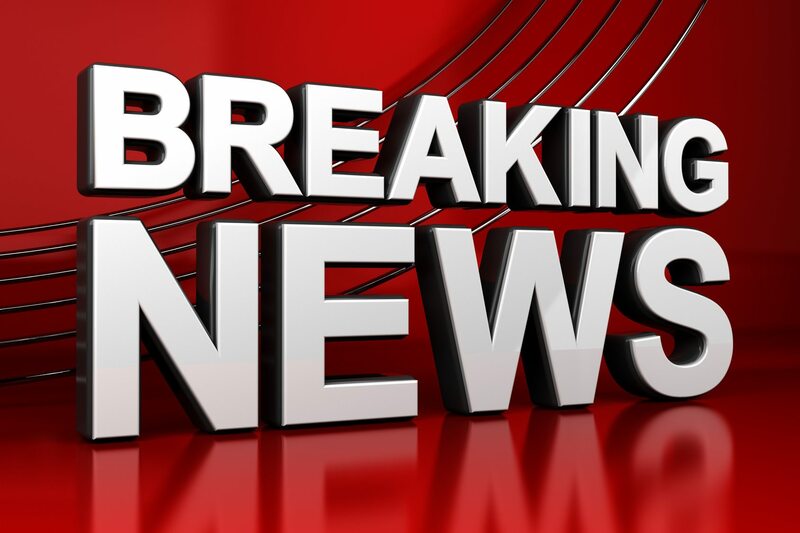 The game is available for $5 a play and the top prize is $100 thousand, the odds of winning any prize are 1 in 4.